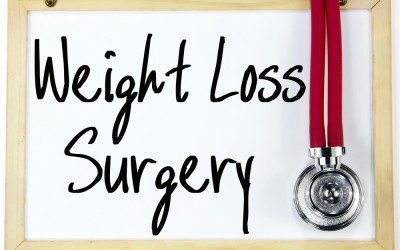 Bariatric (weight-loss) surgery is a hotly debated topic in the world of diabetes — as we’ve made clear here at Diabetes Flashpoints with our many, many posts on the topic, including just last week. On the one hand, the surgery has been shown to resolve many cases of Type 2 diabetes, at least for a certain amount of time. On the other hand, the surgery has risks — which vary depending on the exact procedure performed — that may include nutrient deficiency, bone loss or weakness, and rupture or shifting of staples or bands used to constrict the stomach. The study, published online last month by the journal JAMA Surgery, looked at the rate of death — both overall and caused by specific outcomes — among people in different age groups who underwent a form of bariatric surgery (known as Roux-en-Y gastric bypass). The 7,925 participants in the study who underwent the procedure were compared with an equal number of similar participants who didn’t have bariatric surgery, in order to see how beneficial the surgery was in each age group. The age groups were under 35, 35–44, 45–54, and 55–74, and each group was followed for an average of 7.2 years after surgery. As noted in a HealthDay article on the study, almost every age group saw a major increase in survival among those who underwent bariatric surgery. In the 35–44 age group, the rate of death was 46% lower than in the similar no-surgery group; in the 45–54 age group, death rate was 57% lower; and in the 55–74 age group, it was 50% lower. But in the under 35 age group, the overall rate of death was actually 22% higher among participants who underwent bariatric surgery — not a statistically significant difference due to the small number of deaths this represents, but troubling nonetheless. This increased risk of death was due largely to “externally caused” deaths such as accidents and suicides, which were 153% higher in this age group among participants who underwent the surgery than among those who didn’t — and were more common in women than in men. As the HealthDay article notes, younger obese women in particular may have anxiety or depression related to their weight, and could find themselves feeling even worse after surgery if they expected it to completely resolve those issues — potentially explaining a higher suicide rate in this group. But the study didn’t separate suicides from accidents and other “external” causes, so there’s no way to know for sure whether suicides were actually higher in this group. But aside from this bad news about younger people, the study carries the good news that older people who underwent bariatric surgery were substantially less likely to die, just like those in the next two younger age groups. This study refutes some arguments that because they’re less likely to live for a long time after the surgery and may experience more surgical complications, older people are less likely to benefit from bariatric surgery. What’s your take on this study — if you’re younger, does it make you more hesitant to undergo bariatric surgery? if you’re older, does it make the surgery seem like an attractive option? If you’re obese, have you discussed bariatric surgery with your doctor — and if so, has your age been a factor in the conversation? How important are studies like this in your process for deciding whether or not to have bariatric surgery? Leave a comment below!